The Court of Justice of the European Union recently ruled that “an intermediation service such as that at issue in the main proceedings (i.e. 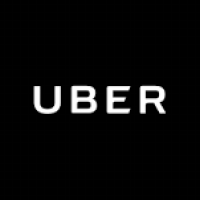 UBER), the purpose of which is to connect, by means of a smartphone application and for remuneration, non-professional drivers using their own vehicle with persons who wish to make urban journeys, must be regarded as being inherently linked to a transport service and, accordingly, must be classified as ‘a service in the field of transport’ within the meaning of Article 58(1) TFEU. (…) a specific provision according to which ‘freedom to provide services in the field of transport shall be governed by the provisions of the Title relating to transport’” (source:JUDGMENT OF THE COURT (Grand Chamber), December 20, 2017). For this reason, Uber should be regulated like a taxi company. “It follows that, as EU law currently stands, it is for the Member States to regulate the conditions under which intermediation services such as that at issue in the main proceedings are to be provided in conformity with the general rules of the FEU Treaty” (source:JUDGMENT OF THE COURT (Grand Chamber), December 20, 2017).